Before the movies “Spirited Away” and “City of Sadness”, Jiufen was a simple and secluded village composed of only nine families. The village was then developed during the golden age of mining industry in the area. Today, Jiufen welcomes visitors to get a beautiful view of the mountain and coast, to experience its local food and to find inspiration. Even for those who are not familiar with the movies “Spirited Away” and “City of Sadness”, the place is generous in giving good vibes. 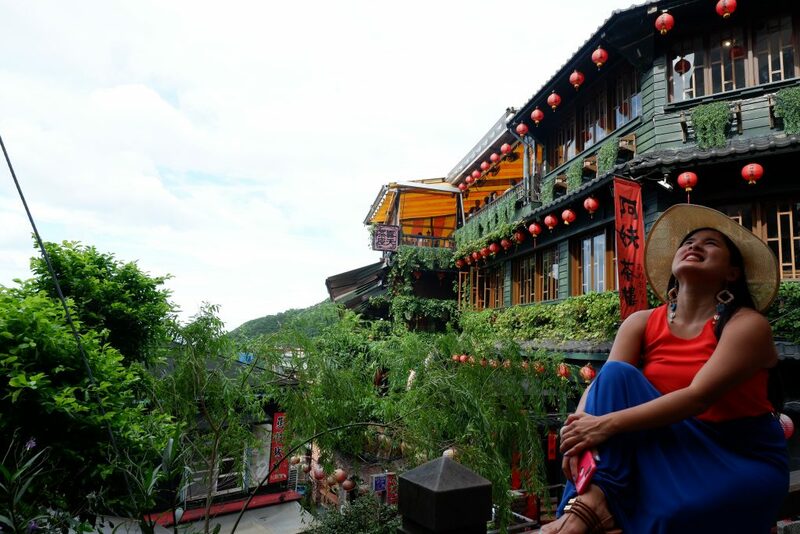 You may also read my article related to Jiufen and Pingxi Tour with MyTaiwanTour. Traveling by bus may take one hour depending on the traffic condition. The next day we went to Jiufen is by riding the bus 1062 at the Exit 1, Zhongxiao Fuxing MRT Station. Actually, when we got out of the station, there were people waiting in a van. They said that it was an express going to Jiufen. They tried to get us to pay NTD 200 per head. We were going to bite already. They even said that the bus 1062 arrived every 30 minutes and it cost 120 NTD. But in reality, the bus 1062 arrives every 15 minutes and it is only NTD 98. In fact, NTD 94 when you have the easy card. Lara and I initially said yes to the NTD 200 per head express ride. We were thinking to save time, but then, the supposed express van still waited for passengers to fill the van anyway. We saw the bus and decided to just hop on. It wasn’t a bad ride and it was very comfy. You may also take the MRT from Taipei Main Station going to Ruifang Station. Then, take the bus 827 or 788 at Mingdeng Road, both going Jiufen. The downside in taking this option is that it may take longer travel time than taking a bus. Note also that MRT travels by schedule. You may need to check the time MRT leaves to see if it fits your schedule. First, if you like to play dress up and match the quaint streets of Jiufen, there is a rental right across the bus stop. You can book via KKDAY. 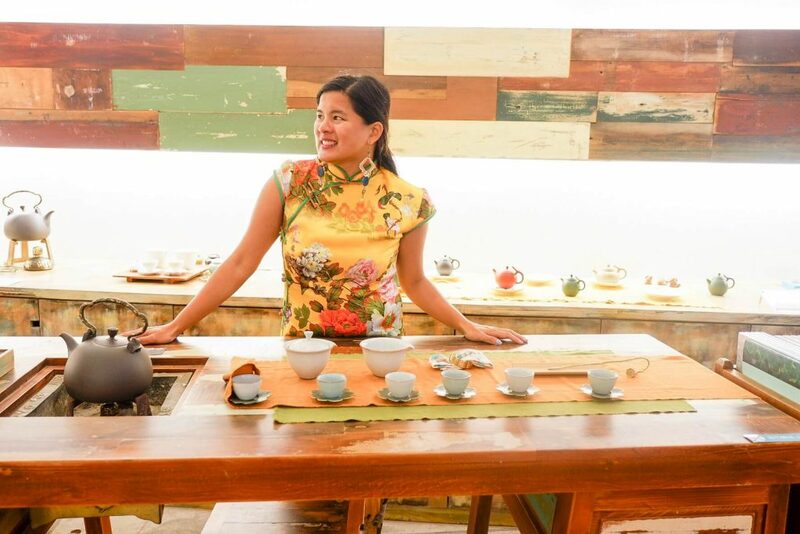 Renting a Qipao or traditional Chinese dress was such a fun experience. We got to choose from different designs and it even comes with bag, embroidered shoes, and complimentary socks. 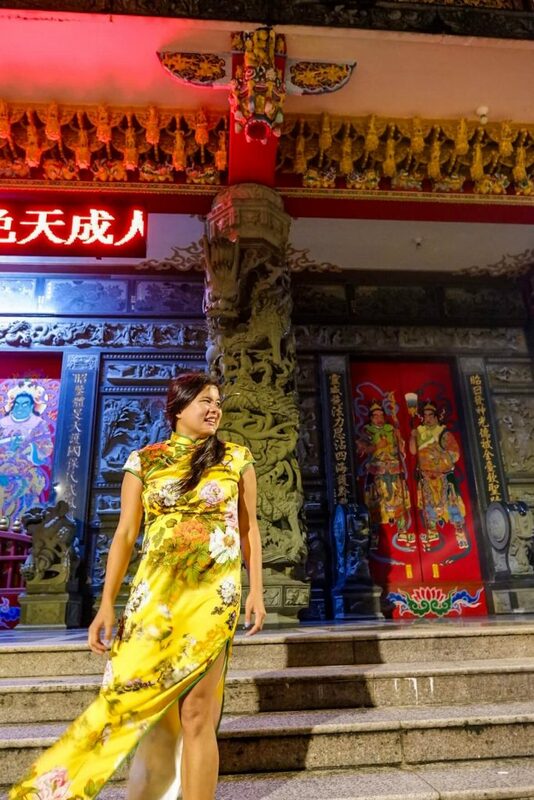 Lara and I enjoyed playing dress up as Jiufen is one of the most Instagrammable places in Taiwan. This is believed to be the inspiration of the Japanese animation movie “ Spirited Away.” I am not familiar with this animated movie. 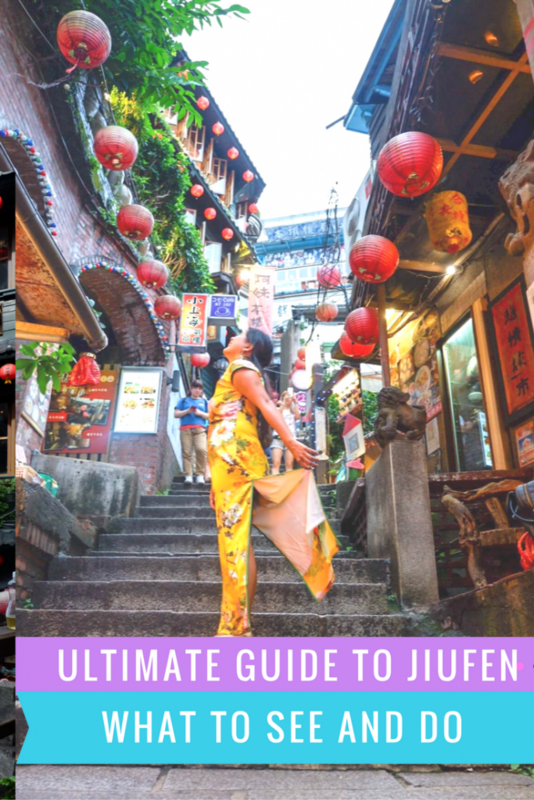 But, given that I loved Jiufen I might just look into it. 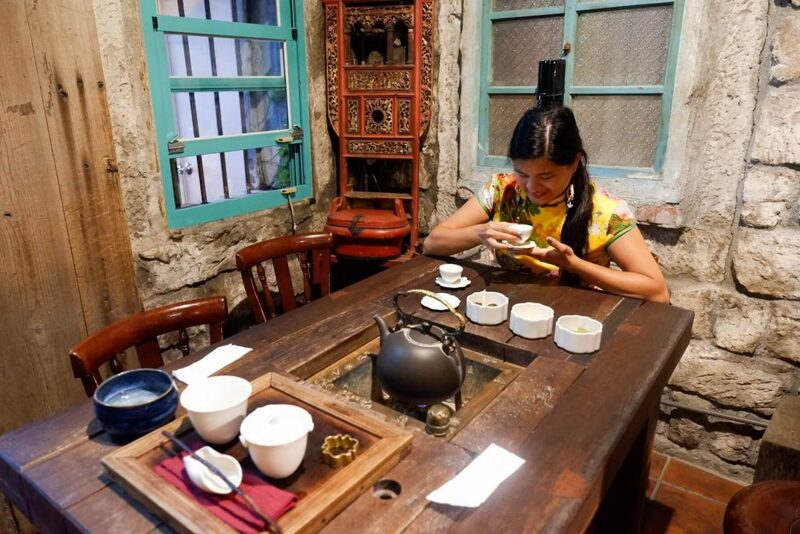 Teahouses are one of the must-visit in Jiufen. 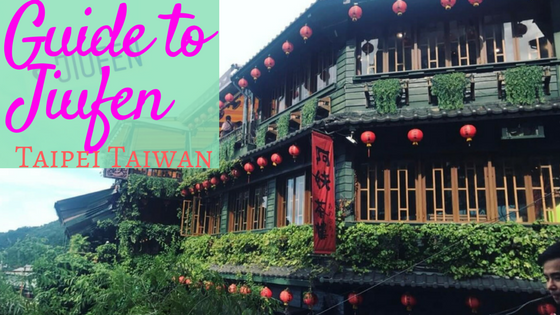 They help preserve the tea culture of Taiwan, offers a great Ambience and gives a great picturesque view. For only P 637, you can already try this experience with Kkday through this link. We tried one, maybe not the most popular one but we still had good tea. Seeing that we looked like we’re not familiar with it, the staff even taught us how to do it. It was quite easy. Lara and I had fun just chatting while enjoying the ambience, taking pictures and savored the tea paired with light snacks. The stairway in the Old Street of Jiufen is narrow but is Instagrammable. It is almost always crowded but there are interesting decorations and stores to look at. During the golden years of the mining industry in its district, the Shengping Cinema must be one of the favorite places for pastime. It only went out of business when the mining companies within the area closed down. Today, Shengping Cinema is one of the must visit in Jiufen. It original equipment and some features of the Cinema were retained. It is now a museum-like establishment. Apart from the tea set, people line up to capture the beauty of the exterior structure of the “A Mei Teahouse.” This is believed to be the inspiration of the Bathhouse, the main location of the animated movie Spirited Away. Or in our case, we took another teahouse experience across this famous one and it was also fantastic. Temples in Taiwan are stunning, colorful and detailed especially the roofing. 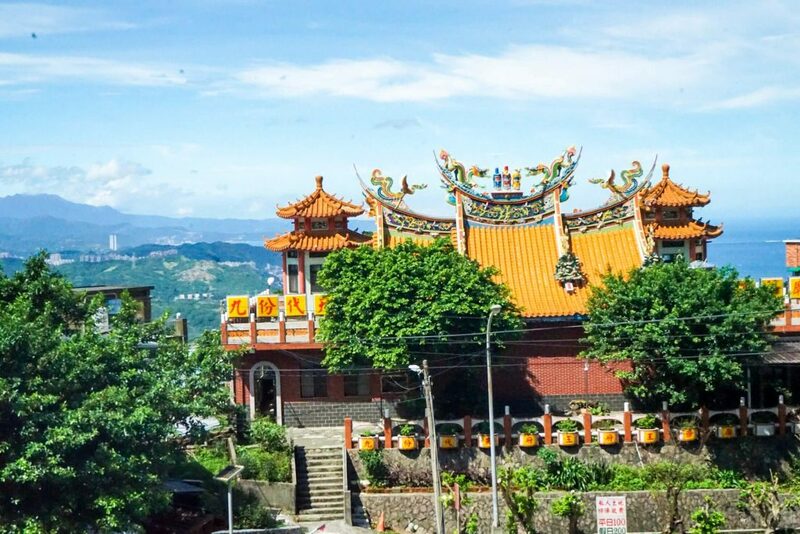 In Jiufen, a temple with intricate dragon sculpture on its orange tiled roof is located right below where your bus or shuttle van can drop you off. The view of mountain and coast from Jiufen is astonishing even when the day turns to night and the house and establishments lighten up. Only Bed and breakfast accommodations are available around the Jiufen. Many stores are closed by 7 PM. The huge crowd will start to subside as well. 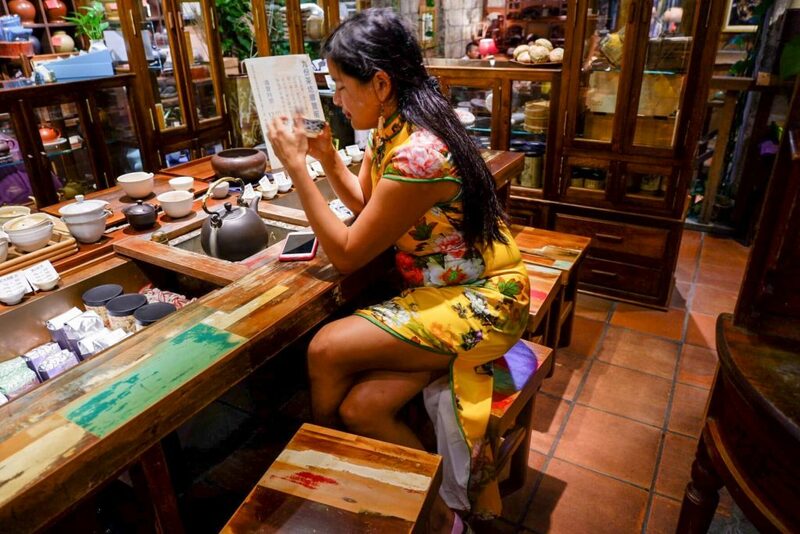 The good news is that you can take advantage of the late night at the A Mei Tea House, or the Spirited Away Tea House. This teahouse with lovely lighted lanterns at night is open until 12 AM. When you enter the Jiufen Old street from 7-11, one of the first stores you’ll see is the A-Zhu peanut ice cream roll. It is basically a crepe with fillings mainly made of coriander, taro ice cream, and grated peanut. The peanut is, by the way, grated from a block of sweetened peanut. The block looks like a peanut brittle. 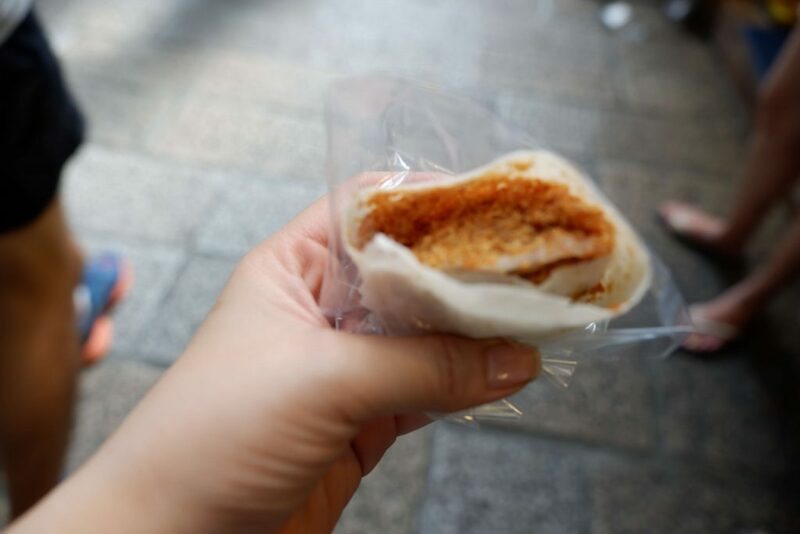 At the top of the Taro Rice Ball is the most popular dessert in Jiufen. It can be served with shaved ice or served as a hot soup. 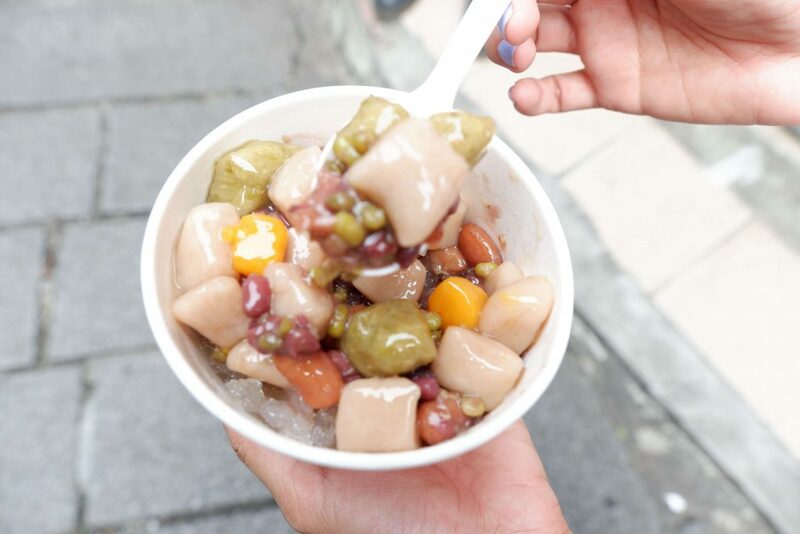 It is mainly made of taro balls, sweet potato balls, red beans, and green beans. Right by the entrance of Jiufen Old Street, you can easily see the restaurant popular for beef noodle soup infused with herbs. It can be paired with dried anchovies (dilis), fried pig’s ear, tofu and century egg. Other street foods are Stinky Tofu, grilled seafood, and giant mushrooms. But, I think these street foods are more scrumptious on Raohe Street Night Market. See Also: What to Eat in the Raohe Market. 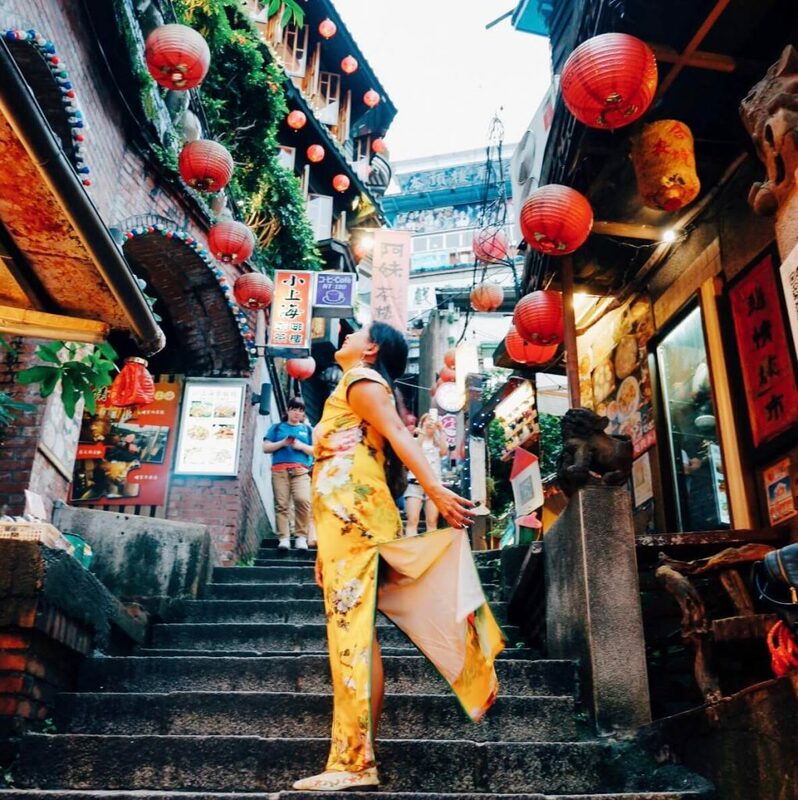 It’s worth it to spend time just exploring Jiufen. You can take the same bus home or if you’re not keen then there will be cabs offering to take you straight to Taipei for 200NTD/ person.